Before my hike of the Inca Trail in Peru I took a couple of day trips into the Sacred Valley of the Incas. 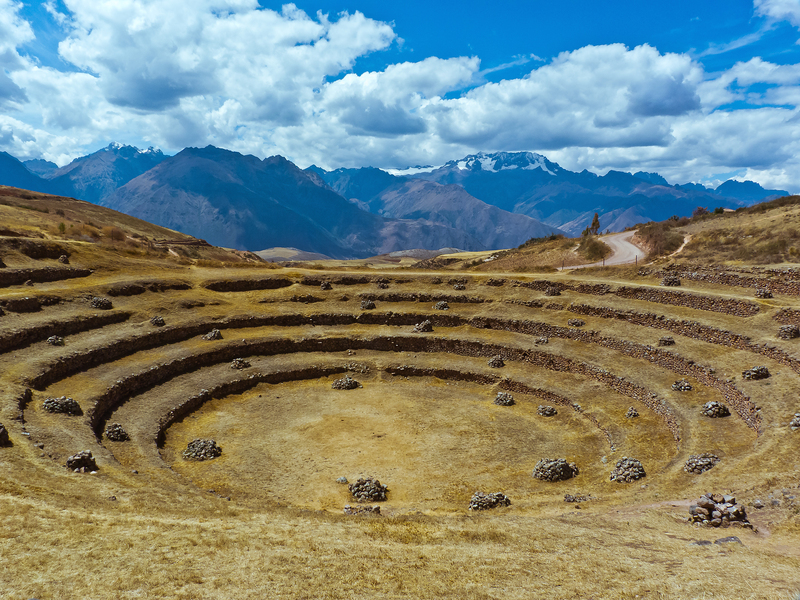 One of my stops was Moray, an Inca ruin with massive circular terraces. This photo features one of the smaller terraces at the site, but I liked the way it framed the mountains in the background.